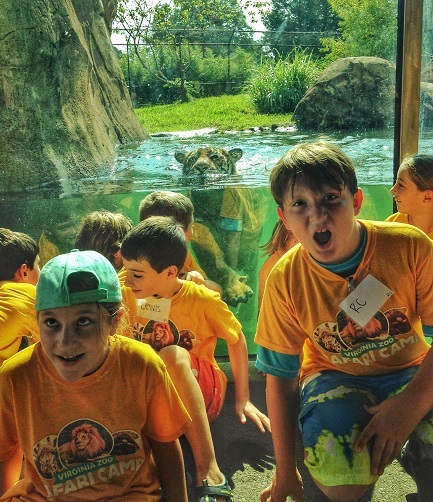 Experience the amazing world of animals with Summer Safari Camps at the Virginia Zoo! 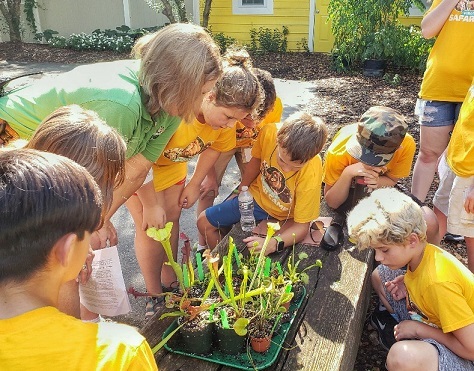 Safari camps are an exciting opportunity for rising K-8 students to dive into nature in a safe, hands-on, and age-appropriate setting. 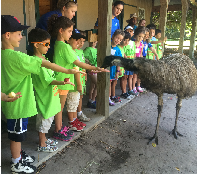 Campers of all abilities and learning styles can enjoy a fun, action-packed week where they will encounter animals up close, express their creativity, and explore the entire Zoo. With behind-the-scenes adventures and games galore, Safari Camp is a new way to discover the natural world. 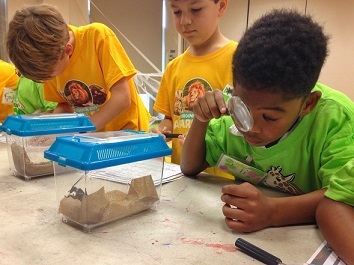 All Safari Camp programs support Virginia Standards of Learning and Next Generation Science Standards. A summary of learning topics for each program is available upon request. 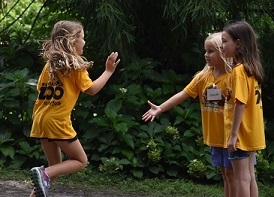 2019 Summer Safari Camp registration is now open! Can't wait for summer? Check out Spring Break Safari Camp! Safari Camp instructors are thoroughly prepared to provide your campers with an awesome day of camp! 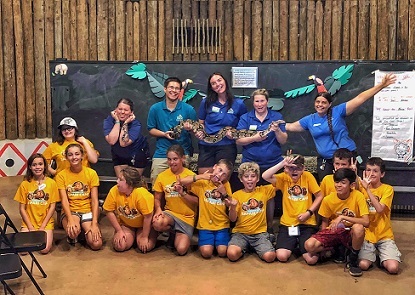 They are excited to share animals and nature with kids of all ages, and are trained in conservation education, classroom management, special needs, and First Aid/CPR. Our camp programs are inclusive and encourage campers of all abilities and learning styles to learn at their own pace. A few activities may be overstimulating for campers who are sensory-sensitive. If you have concerns about whether Safari Camp is a good fit for your camper, please contact the Safari Camp Coordinator. 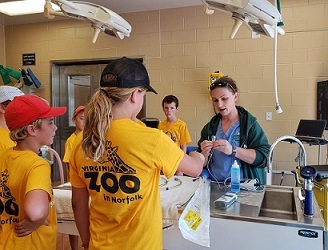 The Virginia Zoo offers after camp care for 1st-8th grade camps until 5:00 pm daily. This time offers more Zoo learning and hanging out with your favorite instructors! From apes to zebras, learn the ABCs of zoo life. We’ll B sure to have lots of fun and C lots of animals as we learn our letters and numbers! Alphabet Zoop is a half-day program for kindergarten-aged children. For purposes of this program, “kindergarten-aged” is defined as no younger than four and entering kindergarten in the Fall of 2019. Drop off starts at 8:45am. Pick up ends at 12:15pm. After Care is not available for Early Explorers Kindergarten Camp. *Military Appreciation Week: 20% off the week of July 15-19 for active duty and retired military and first responder personnel with valid government-issued ID. Valid ID must be presented on first day of camp to verify discount. Enter promo code "MILITARY" at check out. BAM! POW! WHACK! Become Earth’s mightiest Zooperheroes while learning about the most amazing creatures on the planet. 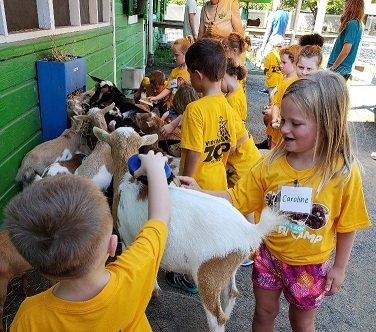 Campers will discover the adaptations and superpowers of animal heroes and villains alike, and will learn what they can do to be good sidekicks for animals in their backyards and around the world. Some animals blend in and some were born to stand out! In this camp, we’ll learn about bright warning colors, cryptic camouflage, and everything else in between. Come explore the exciting colors, shapes, and patterns animals use to survive in their habitats! *Military Appreciation Weeks: 20% off the week of August 5-9 for active duty and retired military and first responder personnel with valid government-issued ID. Valid ID must be presented on first day of camp. Enter promo code "MILITARY" at check out. Ever wonder how wild animals get along? 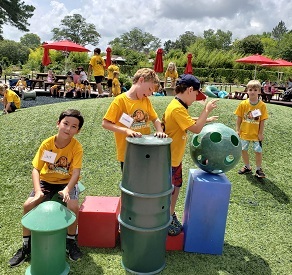 Join the Bio Buddies on their adventures through the Virginia Zoo to discover the many ways animals interact with each other. Explore complex food webs, symbiotic relationships, and wacky animal friendships! *Military Appreciation Weeks: 20% off the week of July 15-19 for active duty and retired military and first responder personnel with valid government-issued ID. Valid ID must be presented on first day of camp. Enter promo code "MILITARY" at check out. Can a lizard drop its tail? Can an armadillo really roll into a ball? Come find out the most bizarre and amazing facts about animals that will make your jaw drop! Along the way, we’ll bust some common myths about these animals and discover the truth. 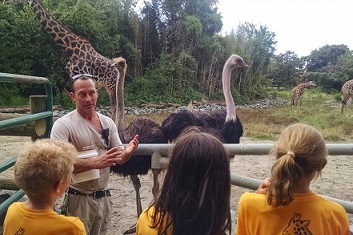 Have you ever wanted to know if you have what it takes to be a zookeeper? Come find out in this in-depth look at everything zookeepers do: from feeding animals and cleaning exhibits, to conservation and animal research. 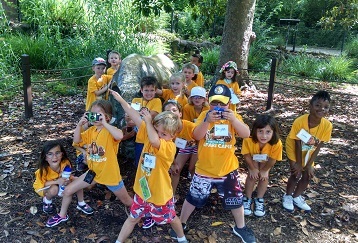 Campers will get down and dirty as we scoop poop and take care of our animals here at the Virginia Zoo. Think you’re too young to have an impact in the world? Think again! Kids and teens around the world are stepping up and paving the way for groundbreaking discovery by trying new and creative scientific methods. Learn to track wild animals, conduct experiments, and unravel the mysteries of animal behavior. Make your own mark on the world by helping scientists tackle real-world conservation issues, and create your own solutions to some of the biggest environmental challenges of our time. *Military Appreciation Week: 20% off the week of July 15-19 for active duty and retired military and first responder personnel with valid government-issued ID. Valid ID must be presented on first day of camp. Enter promo code "MILITARY" at check out.